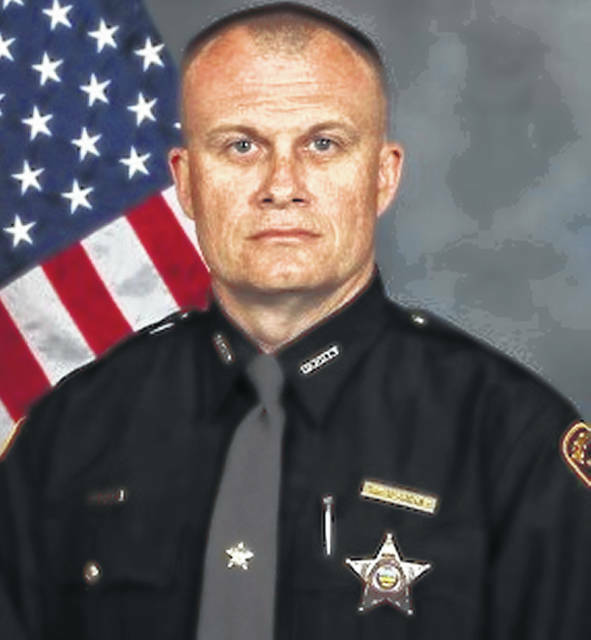 CINCINNATI (AP) — A judge has set a $10 million bond for a man accused of fatally shooting a sheriff’s deputy and wounding another deputy during a 12-hour standoff over thee weekend. A Clermont County Municipal Court judge set bond Monday for 23-year-old Wade Edward Winn. The shackled suspect was in court on charges of aggravated murder and attempted aggravated murder in the weekend shooting in Pierce Township, east of Cincinnati. Authorities say Detective Bill Brewer died from his wounds. The other deputy, Lt. Nick DeRose, was treated for a gunshot wound in the ankle and released from a hospital. Prosecutors said Monday that Winn had faked killing himself and the two deputies were shot when they tried to enter the apartment to assist him. Prosecutors say they will seek the death penalty. Messages seeking comment were left for Winn’s attorney. Capt. Jeff Sellars of the Clermont County Sheriff’s Office said officers responded about 7 p.m. Saturday to the Royal Oaks Apartments following a 911 call from a man who said he believed someone was inside his residence.